We have little control on the pollution outside. 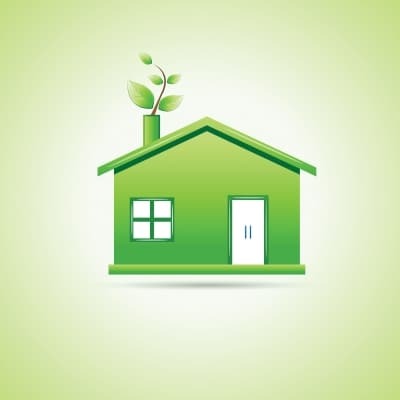 But when it comes to our homes, we should be able to live in a healthier environment. 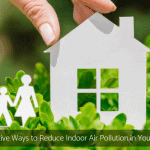 Unfortunately, our lifestyle choices can cause a great deal of pollution in the indoor environment as well. Learn some ways you can prevent chemical pollution for you and your family in this post. Toxins in your home exposes your family to relatively minor health irritants such as eye irritation, nasal congestion, headaches, and dizziness, to major health risks such as cancer and damage to the liver or central nervous system. The young and the elderly are at a higher risk of developing these health conditions. Chemicals and dust pollution exists everywhere in our homes, from the couch, mattresses, Teflon kitchen pans, hand wash liquids, and detergents, to the vinyl shower curtains, carpets, canned foods, and perfumes. Although it is difficult eliminate presence of chemicals in our home we can do many simple things to live in a cleaner, healthier home. Consider these 4 ideas for reducing the presence of toxins in your home. Stop smoking inside the home. Avoid buying high VOC products like pressed wood. Instead, buy solid wood or old furniture. Improve the ventilation in your home. When possible keep the doors and windows open. Place an air-purifier in the house. Controlling the humidity can lower the presence of some VOC’s. Use a dehumidifier to keep the humidity levels in check. 2. Filter your drinking water Even if you stay in an area where the water quality is good, there can be small traces of contaminants such as lead, chlorine, E. coli, pesticides in the water. Filtering the water can remove these pollutants. Use natural home cleaning solutions such as baking soda, lemon, and vinegar. Switch to chemical free laundry powder. Ask your lawn service to use pesticides and fertilizers that contain fewer chemicals. Use only as much fertilizer as needed. Purchase a soil-test kit from your local garden store to determine when the fertilizer needs to be added.